On Interstate 280 outside San Francisco, towering white Volvo semitrucks have been driving themselves around for months–under the careful supervision of humans in the cab. 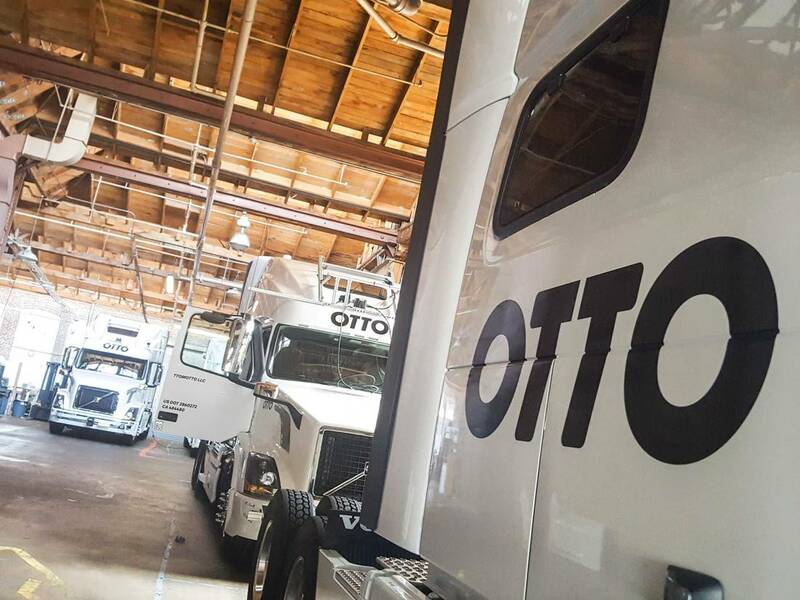 Otto, a startup founded by automation experts eager to get their inventions out of the lab and onto the road, has been working to reinvent commercial trucking since it was founded in January. And in August, ride-sharing giant Uber announced it was acquiring Otto and its 91 employees in a deal worth an estimated $680 million. Otto, now part of that web, is focusing on bringing a product to market “sooner rather than later,” as co-founder and former Google Maps head Lior Ron puts it. The company aims to retrofit existing long-haul trucks with tech that enables self-driving solely from exit to exit on freeways, which poses a more manageable set of problems than fully automating passenger vehicles. For starters, that means no city driving and fewer pedestrians, traffic lights and complex intersections. The company believes there is much greater incentive for highway-autonomous big rigs to be widely adopted quickly. During a test drive I sat in on, an Otto employee took the driver’s seat, letting his hands hover close to a computer-controlled steering wheel. Otto product manager Eric Berdinis, relaxing in the back, argued that many self-driving features aimed at ordinary consumers amounted to mere convenience. But outfitted with the right tech, truck drivers stand to benefit much more: lowering the likelihood of crashes, increasing fuel efficiency, saving on gas and getting more use out of an expensive asset. Trucks often sit idle because drivers must abide by safety limits on how much they can drive in a given week. In theory, the driver of a truck with Otto’s technology could go off duty and sleep in the back, collecting the usual rate per mile as computers take over for a while. Otto’s founders were attracted to the tie-up with Uber partly because they want to develop a marketplace for truck drivers, connecting thousands of freelancers directly to customers who need goods shipped, much as Uber connects its users to nearby drivers. That program, like promising laser-sensor technology that reads a detailed picture of the environment, is still being developed. And freeways still pose challenges. On our test drive, that human in the driver’s seat twice punched a big red button that disengaged the automated system so he could take over, once to avoid debris and again when traffic backed up near a construction zone. For now, courting potential problems is the point. Otto wants to encounter every possible scenario that algorithms must be ready to navigate if the driver is, say, snoozing. “We believe the best way to proceed is very real, vs. being in the ivory tower and developing stuff for the sake of developing stuff,” says Ron, sitting in a new Uber research facility plastered with Otto’s logo. “That’s why we’re focusing on trucks.” It may not yet be clear what the future of automated transport will look like, but the industry’s innovators want to get there fast.